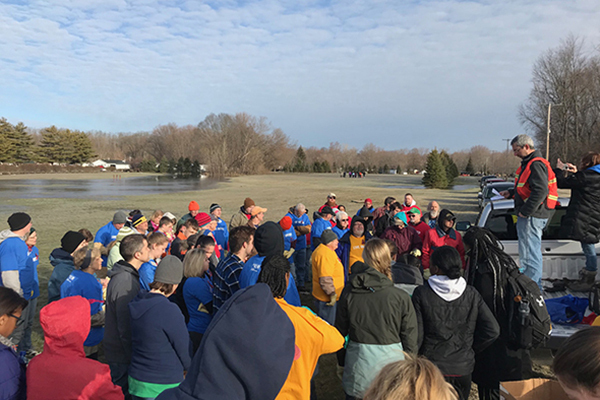 Students and employees of Andrews University, a Seventh-day Adventist institution in Berrien Springs, Michigan, United States, organized to assist neighbors after a significant flood affected the area in late February and early March 2018. On February 20, 2018, Berrien County began to suffer the effects of rapid snow melting and excessive rainfall. By February 22, the St. Joseph River crested at 17.33 feet in Niles, exceeding the major flood level of 15 feet and leading to the evacuation of many residents. In response to the displacement of flood victims, Andrews University Guest Services & University Towers began housing flood victims. Coordinators provided temporary housing for two staff members, four community families, and five students. Long-term housing was arranged for three of those students who lost their apartments and homes. A team also coordinated the distribution of meal tickets and boxed breakfasts through the first weekend, as well as care packages to students who lost many items in the flood. Guest Services also provided showers for victims staying at the Red Cross shelter at the Village Seventh-day Adventist Church in Berrien Springs. Besides assisting on campus, Andrews University participated in community flood cleanup in both Berrien Springs and Niles. Campus Ministries worked with the “Neighbor 2 Neighbor” team to send 20 volunteers to pack cleanup buckets. 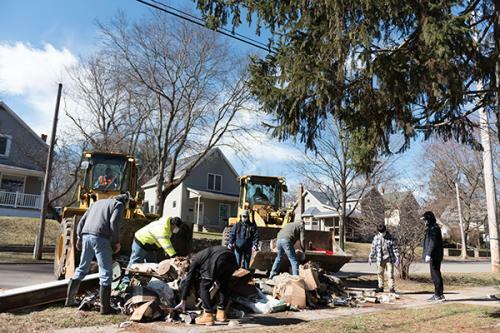 Andrews continued to participate in service opportunities as scheduled by local government. 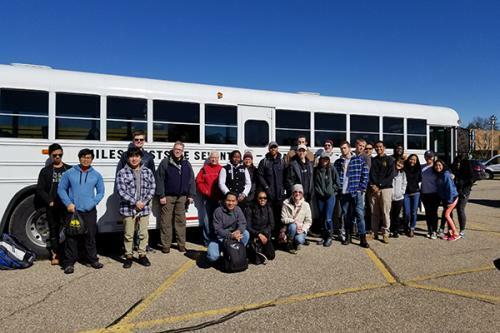 On March 2, 39 Andrews students and employees worked in conjunction with the City of Niles to do flood cleanup in the surrounding area. On the following days, a total of 50 students/employees worked to clean out flooded mobile homes and yards. Student volunteers said they were more than happy to be of service. One of them, a seminary student, recalled his experience.